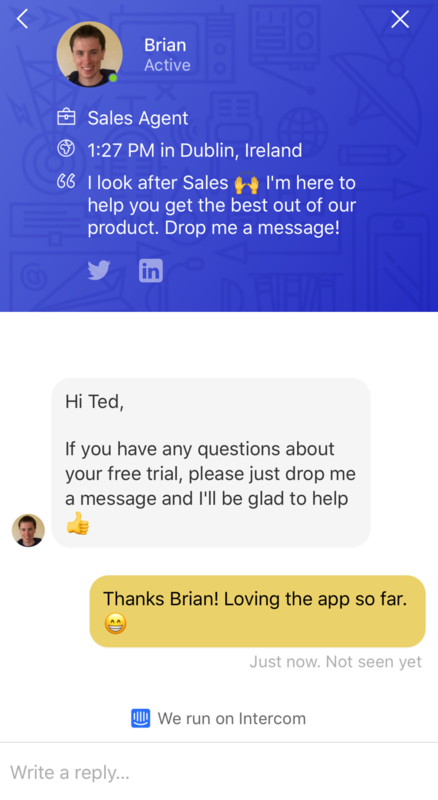 Intercom shows you who is using your product or website and makes it easy to personally communicate with them through targeted content, behavior-driven email, in-app, and web messages. Want to do it yourself? Skip the next step. Select Intercom as the trigger for every closed support ticket or tag. Select NiceJob as the action for the "get reviews" campaign. "NiceJob has been a game changer for our small business"